Hi folks, just a friendly reminder we have a rowing clinic scheduled tonight at 7pm. If you can make it to an earlier class, that would be ideal. If not, we will have a 7pm WOD but will give the rowing clinic priority… the 7pm’ers will take a spot in the corner to get in the WOD. Sorry for the late reminder y’all but it’s not too late to attend the clinic! 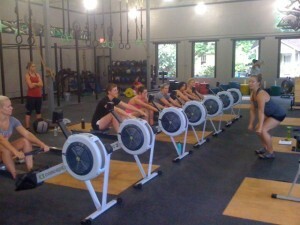 Join the rowers and embrace the erg… it’s $10 and worth every penny. Email jessie(at)crossfitrx.com to let her know you want to attend the clinic.